This classically divided rucksack has a wide range of uses thanks to comprehensive features. The EDS suspension system means that the rucksack reaches a new dimension in terms of comfort. 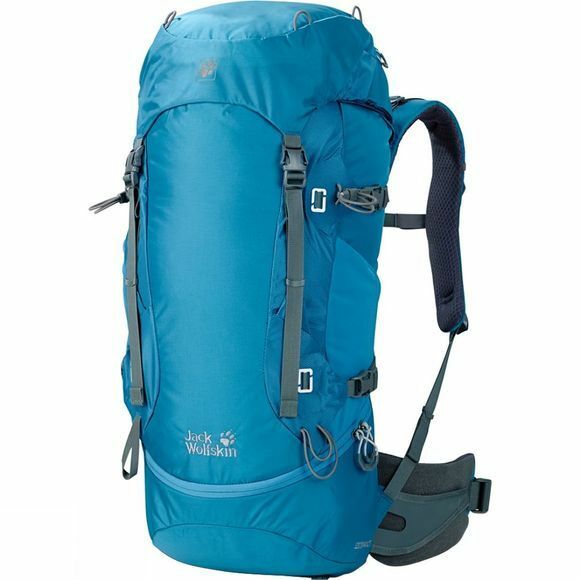 The cushioning and straps are adjustable not just before the rucksack is put on, but also during your hike, so that you don't have to take it off. The EDS Dynamic 38 features the standard division into main and base compartments. The base compartment is especially easy to reach thanks to the ergonomically shaped zip. The lid features two more zip compartments.